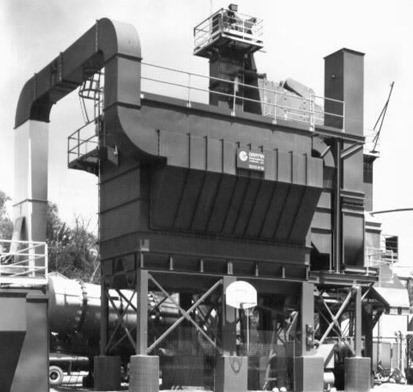 Industrial Dust Collectors, or Baghouses, use a fabric filter to remove dust from a continuous or intermittent incoming gas stream. Cleaning or removing collected dust from the filter bags can be done using a mechanical shaking device (shaker baghouse) or a pulse of compressed air (pulse jet baghouse or collector). Baghouses are used in the following industries requiring pollution control systems: foundry, sawdust, steel mills, frac sand, chemical, fly ash, cement, lime, mineral, food, mining, ceramics and boiler. In a Pulse Jet Baghouse, a pulse or momentary burst of compressed air is used to clean the bags. This self cleaning filter bag design can be used in a continuous dust laden air stream or intermittent air stream. Dust laden air enters the collector through the hopper or a high-entry-inlet housing section. An internal baffle distributes the dirty air within the chamber housing, thus reducing air velocity causing the heavier particles to drop into the hopper while the lighter particles collect on the surface of the filter bag. Filtered clean air flows through the filter bag and into the clean air chamber to be exhausted through the outlet. A periodic compressed air pulse will remove the accumulated dust from the bags, with cleaning frequency and duration set by a timer. Dust falls into the hopper for removal through an airlock isolation valve. 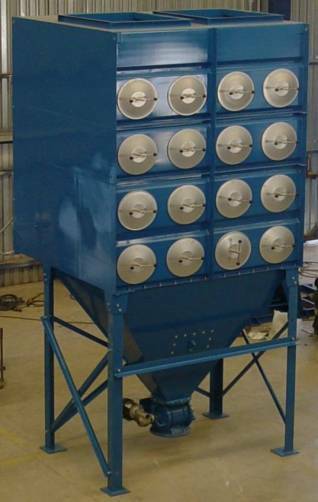 A Mechanical Shaker Baghouse is similar to a pulse jet dust collector. Instead of using a burst of compressed air to clean the filter bags, a mechanical agitation of the bags is used to “shake” or knock off dust collected on the surface of the filter bags. 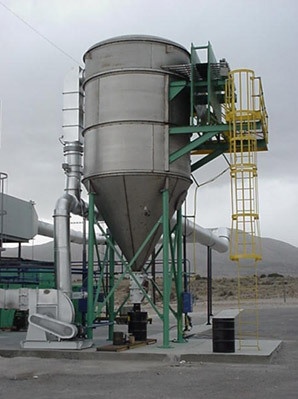 A Shaker baghouse can only be used where there is an intermittent flow of incoming dust laden gas, typically to filter displaced air in a silo, hopper, or bin. 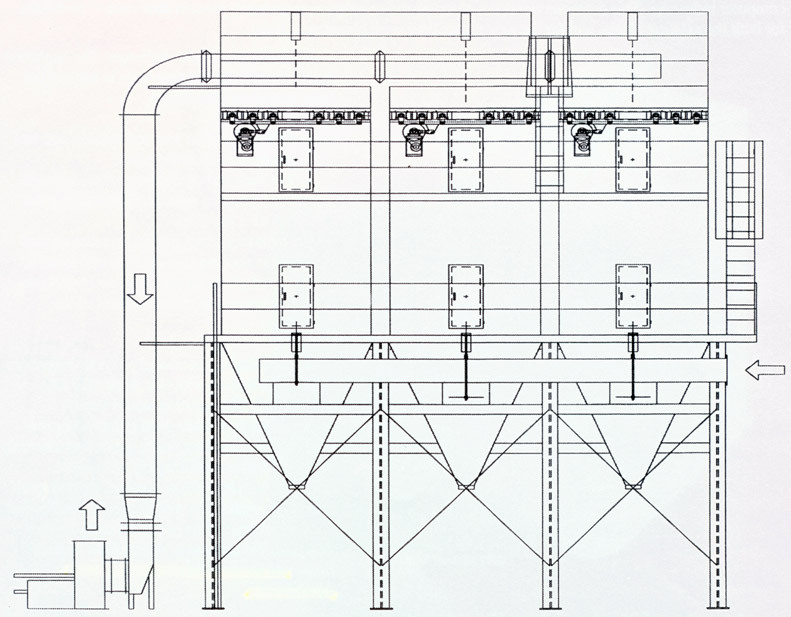 It is also used for intermittent pneumatic conveying systems. Cartridge dust collectors use a rigid, pleated cartridge for the filter medium. 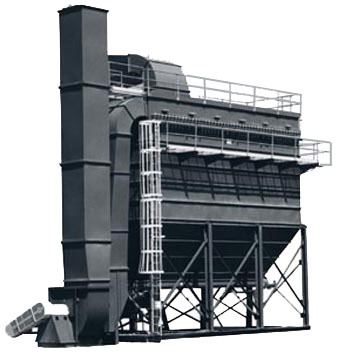 These units offer a small foot print and high filter efficiency. Cartridges can be either a vertical down flow or the easy load horizontal cartridge.